With a predominantly Portuguese crowd at the fifth course at Escola da Terra, we had a dynamic and boisterous group full of fun and learning. 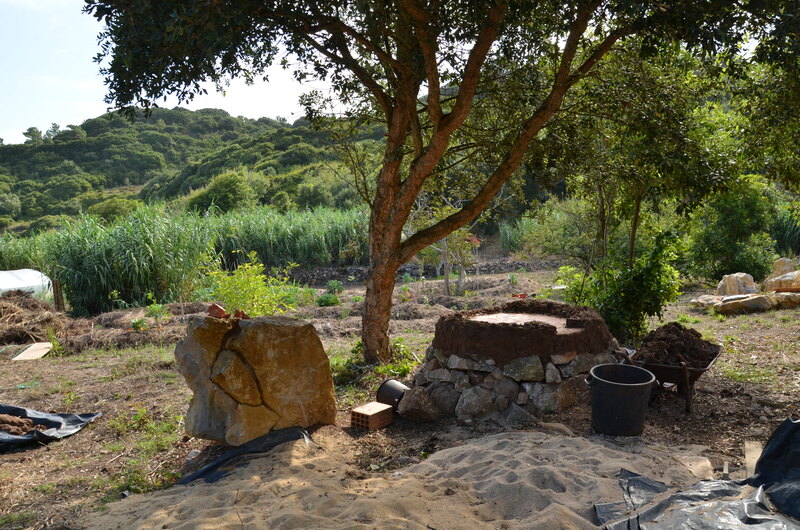 The rhythm of this particular Permaculture Design Course (PDC) seemed to be directly reflected in the ebb and flow of the coastal climate. It began softly and soberly under the cover of low clouds and foggy mornings but soon the sun broke through and with it, the brilliant spirit and enlivened evolution of the course took shape. The first step in the process was to “Spin the Community Web.” This multi-faceted activity quickly lays the foundation upon which a diverse crowd can gel and begin to co-create. And this group had it all. 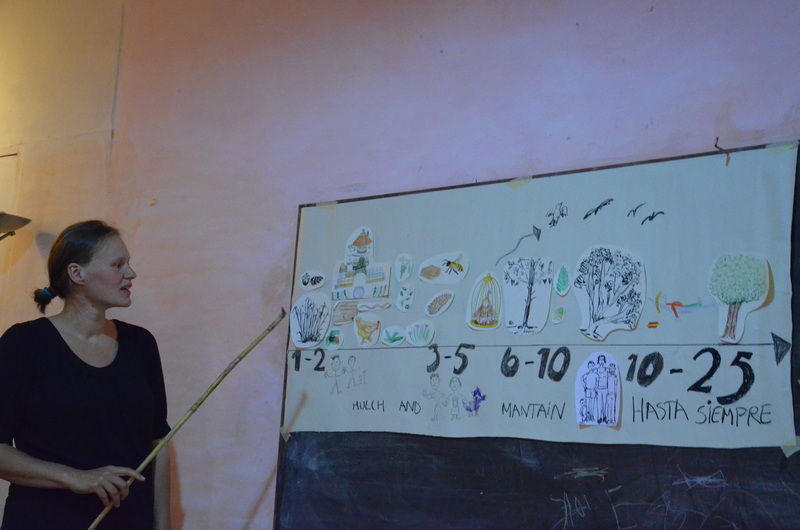 Some participants were doctors and healers, while others were mothers-to-be, teachers, students, and policy-shapers. Many were searching for community living and farming opportunities. But all of us found surprising ways to connect with and learn from each other during this unique process. Escola da Terra, the site where most of the course takes place, is a school for children during the rest of the year. This coming school year, the children will be exploring the powerful relationship between culture and food. 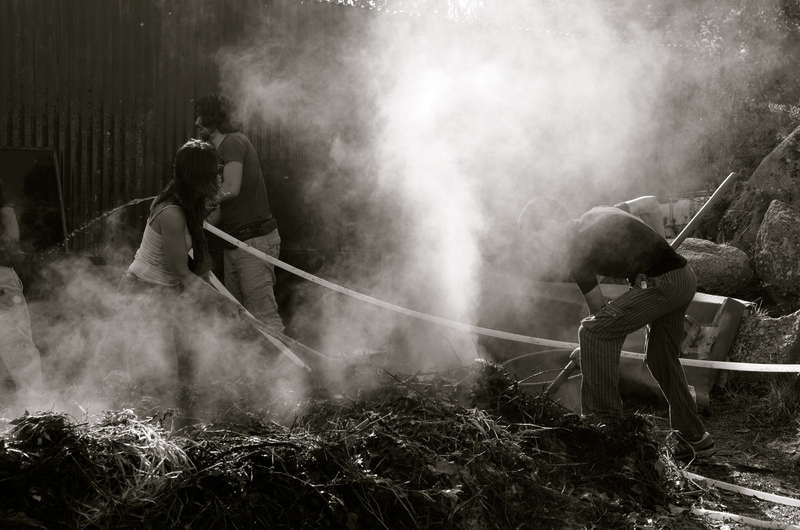 To support this endeavor as well as offer applied education for the students of the PDC, we all took part in the first step to grow food: the making of compost. So on the second day of the PDC, we piled alternating layers of green and brown material with a dash of high Nitrogen horse manure which helps to kick off the pile. The pile heated up in just a few days and needed turning. The morning sun illuminates the steamy passions of the countless microorganisms as they breed, create heat, and transform the pile into chocolaty rich humus. Remember to always observe. In this case, we noticed the pile was a bit dry despite having thoroughly soaked it just a few days earlier. So we with this turn, we again soaked the pile which allowed it to heat back up very quickly and keep the decomposition process efficient and effective. Mediterranean climates can be surprisingly drying even near the ocean so be sure to monitor moisture levels to ensure composting success! The simplest technique to do this is by reaching into the pile and grabbing a handful of material and squeezing. Ideally there should be 1-2 drops falling from your hand. In the end, this particular compost pile could have used a few more flips but with the addition of worms in the coming days when the pile cools down, it will produce over a cubic meter worth of a good soil conditioner. 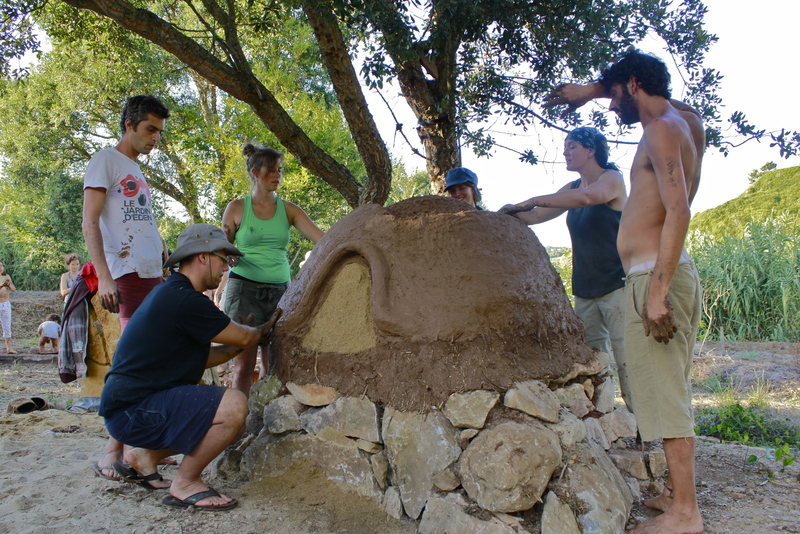 One of the course highlights was the completion of the massive cob oven. A beautiful stone foundation was already in place due to the concentrated efforts of the students during the July PDC. It stood as a tactile expression of true teamwork and helped to inspire this next group to produce an equally impressive creation. First we started by re-stomping the clay into a workable creamy texture which was then mixed with sand and cut straw. 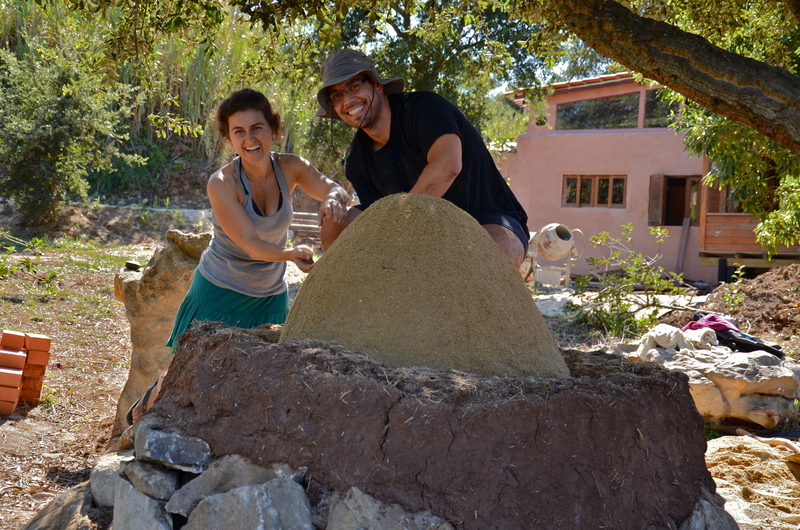 This mix is known as “cob” and is an amazingly versatile and strong building material. 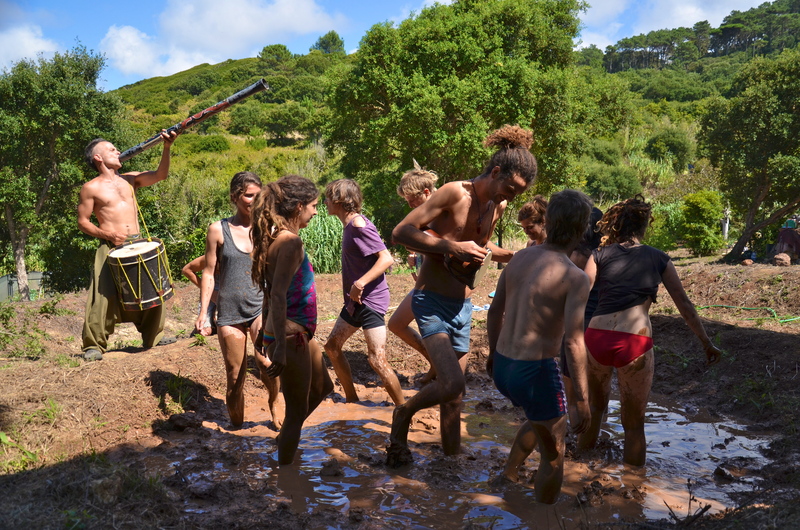 Without the keen observant eye of the permaculturalist, this process may merely look like a huge party of music and mud-dancing. But it is this joyful atmosphere and many happy feet that make this kind of building possible. So remember to have fun and celebrate all along the way! 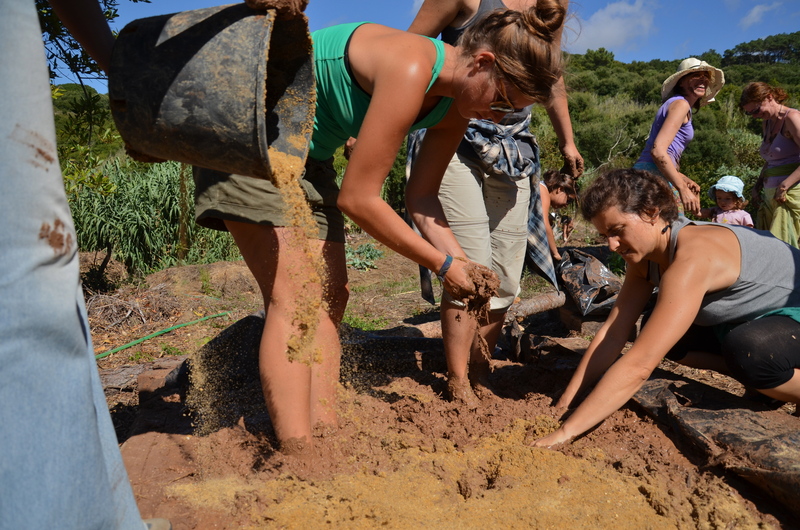 While the clay dance ensued and paced the rhythm of the day, students were also engaged in sheet mulching, straw cutting, and building the sand dome that gives the shape and support to the construction of the inner chamber of the cob oven. The best type of sand for the dome is a yellow builder’s sand made from the local granite. Without the right sand, it can be difficult to reach the golden ratio that the dome shape dictates, especially for large ovens. It is a slow process that requires patience. The sand must be evenly moistened and the dome must be constructed in complete layers from the bottom up. From there the students began the long yet rewarding process of making cob. The sand is mixed into the mashed clay along with the fibers of the chopped straw. The combination of elements creates a matrix for strength, insulation, and mass to retain the heat and maintain structural integrity. The mixing process was done in a festive foot mash as if it were wine grapes in Italy or cabbage in Austria for sauerkraut. Three distinct layers are required to complete a cob oven. Each layer has a different ratio of clay to sand to straw depending upon its function. The inner layers create the thermal mass to retain heat for baking and demand higher ratios of clay and sand to straw while the exterior layer contains as much straw as possible to produce the necessary insulation. These simple variations allow the oven to retain heat from a single firing for hours while directing and concentrating the heat internally to optimize efficiency. Once completed, an oven of this size needs to dry slowly for several weeks and then the sand can be removed to reveal the baking chamber. A final plaster can be added at this point if so desired. Thanks to all for the great help in both courses and leaving behind a positive legacy at Terra Alta. 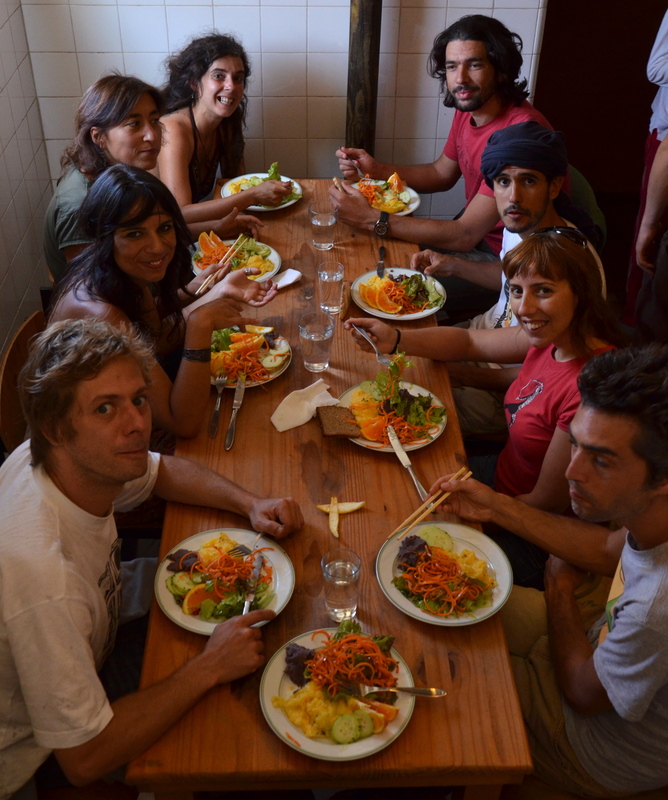 As always at the Escola, the food was delicious and full of love from Caren with help from Eva. It included some lovely ferments that were crafted by the PDC participants, themselves. On day 4 of the course, we all headed to the kitchen for a hands-on introduction to fermentation. By the end of the course our concoctions were ready for consumption. We all celebrated while sipping fizzy fruit soda and eating tangy sauerkraut. All in all, meal times were a great way for us to connect and enjoy the cultural sharing which is such a blessing, particularly in this European context. Other highlights of this course included several guest presentations. Gautier Gras showed off Terra Mae one last time before the final sale of the land. With his move to Italy, this will be the last time that we have this experience. And as always, it was memorable. 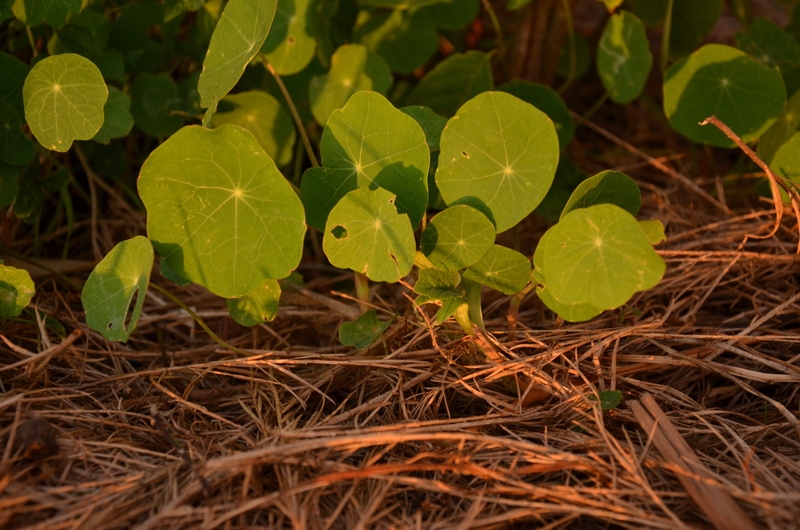 Students were excited to see the result of 2 years of concentrated work especially in terms of ecosystem regeneration. For many, this is what made all of the information from the lecture really click. So thanks once again Gautier for all the positive energy you gave to this course and all the past courses that we have worked on. Other guest presenters included Pedro (speaking about the continued evolution of Terra Alta as well as worms and bees) and Sylvia (sharing her vast knowledge on the topics of plant propagation and seed-saving). 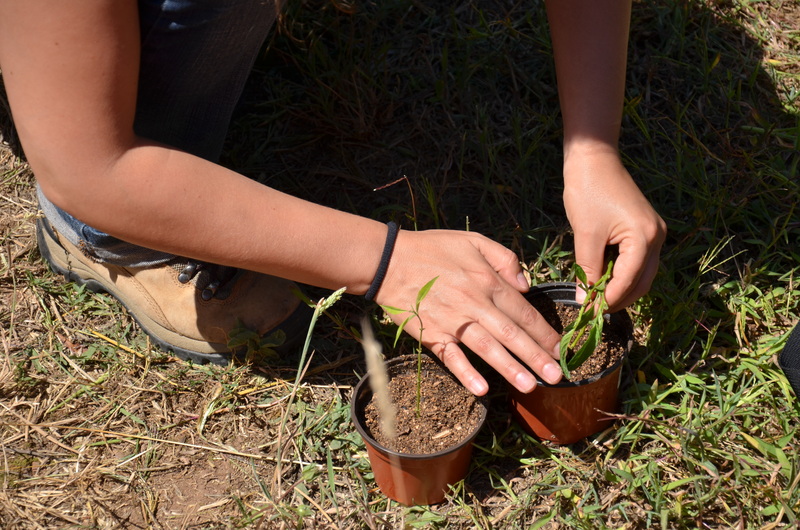 In a way to give back to the school and the community that supports it, we all joined together in our last session of the course to propagate plants. These new plants will find a home in the raised beds at Terra Alta where the sheet mulching was completed by PDC participants over the last two courses. We took cuttings of pepino dulce (one of Pedro’s favorite fruits!) and also made root divisions of Canna Lily for the chop-n-drop fertility maintenance. And finally, the course ended with some really good designs. After a bit of stress from the time crunch, the creativity began to flow and students embraced the design process. 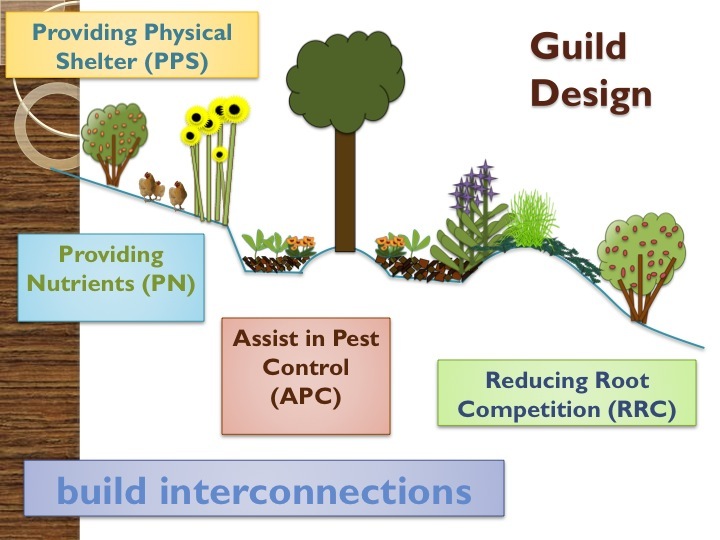 Below is a picture of an especially creative and equally effective approach to representing the Phases of Implementation section for the final design projects. It really told the story through an artistic storyline. Thanks so much to everyone and the Escola for another successful PDC!